Strap 'N' Go skate nooses are a colourful way to carry your skates with ease when you're not skating and they fit easily in your back pocket when you are out skating. These nooses are a step above the rest because of their actual Noose Action. With this noose action there is no way your skates can fall out and be damaged. 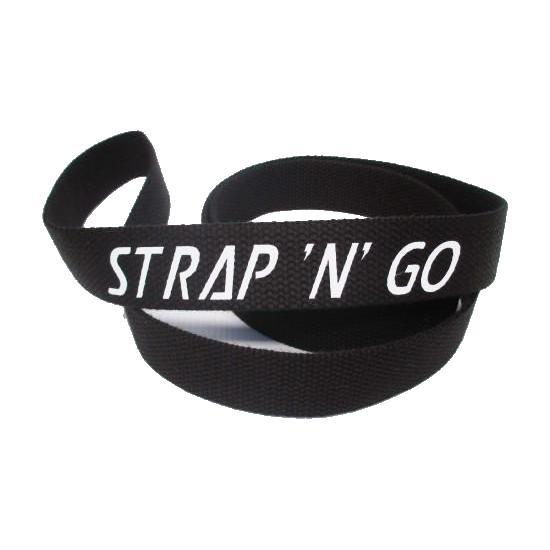 Strap 'N' Go skate nooses are easy to use and will prevent rust and corrosion of your skates that can occur from being put in a bag, especially a sweaty Derby Bag.